A bluff collapse in Del Mar stopped train traffic through North County for hours on Saturday afternoon, causing major delays. Amtrak and commuter train traffic was halted through Del Mar as of about 1 p.m., and passengers were directed to buses. “Tracks are closed between Sorrento Valley and Solana Beach due to the bluff collapse in Del Mar. Track inspectors are currently responding,” the North County Transit Authority tweeted. 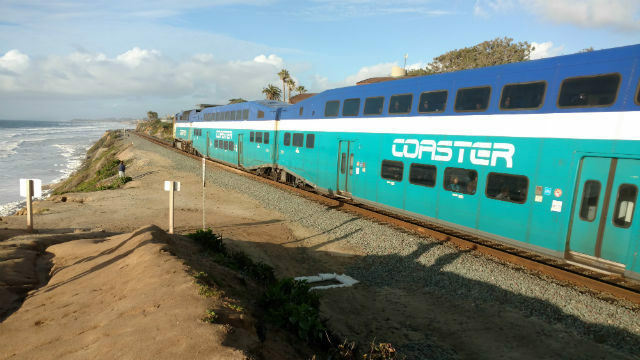 Tracks were already closed for much of the morning after a man was struck and killed by a Pacific Surfliner train in Carlsbad around 8:15 a.m.
Normal service on the line resumed by 6 p.m.